I like to sum up the definition of a hashtag as "signifying the theme of your content." But.... to give you the Wikipedia version of what a hashtag is, and I quote: "A hashtag is a type of label or metadata tag used on social network and microblogging services which makes it easier for users to find messages with a specific theme or content." End quote. Before social sites as we know them today, there was (IRC’s) Internet Relay Chats. IRC's were live chats and messaging - kind of a precursor to the social sites we use today and the birthplace of hashtags. 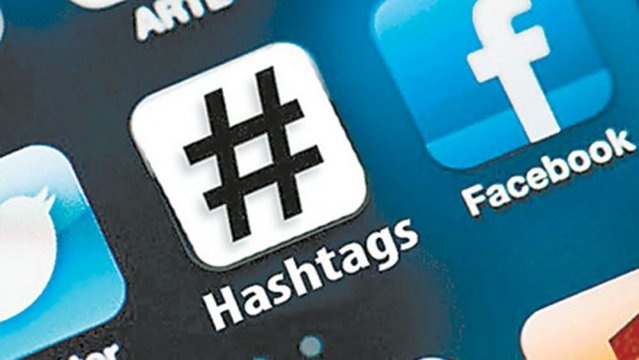 Hashtags then became popular on Twitter, where they were initially used for “tweet chats” or "tweet ups". Tweet chats are like open group discussions around a particular topic. Still relevant today, marketers are utilizing hashtags to relay the essence of their “tweet chat". Melinda Emmerson, a past Keynote speaker at our annual women in business summit #MACSSUMMIT hosts a weekly tweet chat called #SmallBizChat. Most networks use hashtags in the same basic way; to organize data and make it easier for user consumption. However, each network has a different tweak on how they use them. Facebook: Clicking a hashtag on Facebook will bring you to a separate page with posts that are visible to you based on the various users’ privacy settings. You’ll also see the different trending topics in the top right hand corner of your News Feed. Instagram: Hashtagging on Instagram is great if you want to see photos similar to the ones that you’ve taken. Simply hashtag the picture you took and it will create a link to a page with other pictures of the same subject. Google+: Google+ uses hashtags similar to the other sites, but with one main difference. Google+ will add hashtags to content if they think that it is a relevant and popular keyword. You can always opt-out of this through Google+ if you’d like. Tumblr: When you’re creating a post on your Tumblr page, you’ll see an area at the bottom asking you to add “tags.” When you start to type a tag for your post, Tumblr will automatically add a hashtag to the front of it. Pinterest: The main thing that you need to bear in mind when creating hashtags on Pinterest is that they’re only clickable in a Pin description. Also, hashtags aren’t searchable on Pinterest, so you’ll need to just search the keyword to find the content. YouTube: Hashtag use within YouTube is most prevalent in the comments section. Users can leave comments with hashtags, which will then click through to a page with videos that contain that hashtag in their title. Kickstarter: On Kickstarter, sorting by different hashtags can make it easier for you to find projects you’d be interested in investing in. Vine: As a company owned by the creators of the hashtag, you’d better believe that Vine has included the functionality. As with other sites, adding a link to your Vine’s description will bring you to a page with Vine’s on the same topic. Creating a clear plan of your goals for your business will help you to maximize the power of hashtags for your business. As a business owner, you can use hashtags to raise brand awareness. Think about who your business serves, what the essence of your messaging is and create a couple of unique hashtags based on your brand. Use your unique hashtags to further your brand messaging and to engage in conversation with your audience. Visualize hashtags that are trending on a map in real time, based on location. You can use to see trending hashtags from anywhere in the world. Simply type location into the top right-hand corner of the site. Ritetag is a very useful hashtag tool that will help you choose the best possible hashtags for your tweets. By adding the RiteTag extension to your web browser, you will be able to schedule your tweet from wherever you are online as well as select the best possible hashtags for your tweet. What the Trend - What the Trend, recently acquired by Hootsuite, is a hashtag tool that explores all the trending hashtags. View Hashtags in order of popularity, as well as a list of all trends of the day. Hashtags trends can be explore by location. Make your own trend searches. You use these content hashtags to improve the SEO of your posts. They get your updates seen by your consumers who are searching for, or using, the hashtag words. For example, at MACsWOMEN, we use a lot of content hashtags like #socialmedia, #marketing or #Facebook.